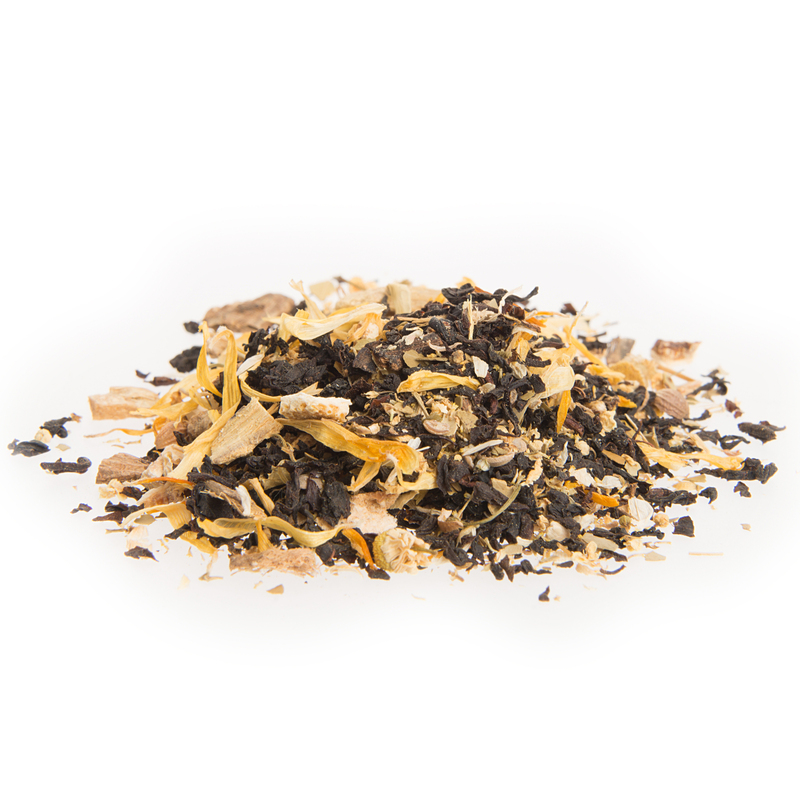 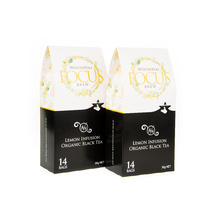 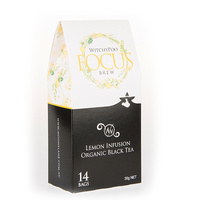 Our Focus - Lemon Infusion Organic Black Tea has a lemony, citrus zest with lovely floral overtones. Perfect with a little honey when you need to face high-pressure assignments and exams or needing that boost in times of high stress levels at work. 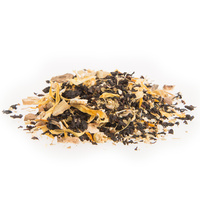 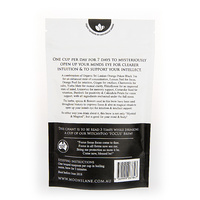 A combination of Organic Sri Lankan Orange Pekoe Black Tea for an enhanced state of concentration, Lemon Peel for focus, Orange Peel for intuition, Ginger for intellect, Chamomile for calm, Yerba Mate for mental clarity, Elderflower for an improved state of mind, Liquorice for memory support, Coriander Seed for retention, Burdock for positivity and Calendula Petals for vision support, with all ingredients enchanted under the full moon. 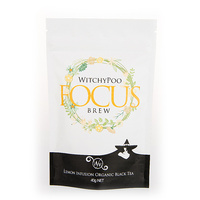 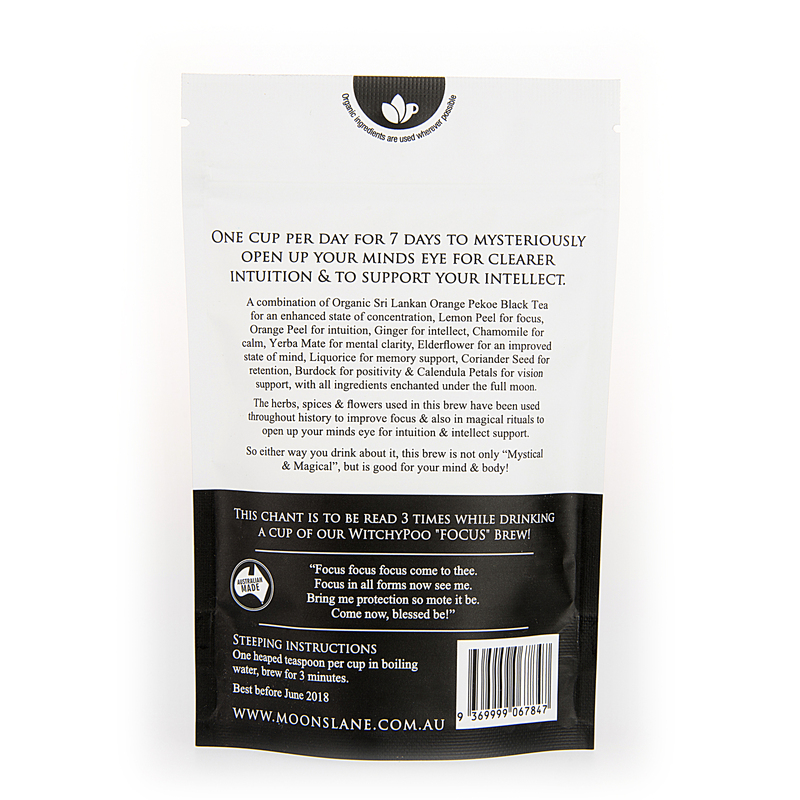 The herbs, spices and flowers used in this brew have been used throughout history to improve focus and also in magical rituals to open up your minds eye for intuition and intellect support. 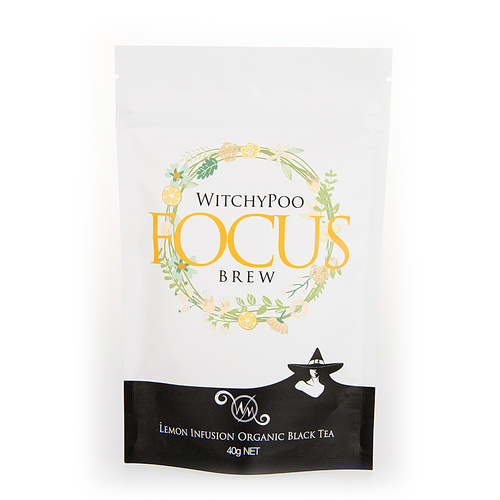 So either way you drink about it, this brew is not only "Mystical & Magical", but is good for your mind and body! 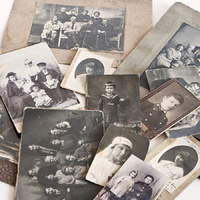 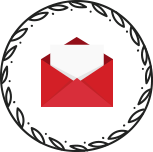 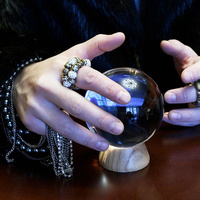 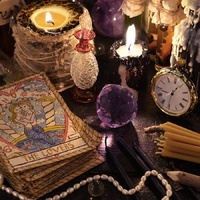 Help other The Witch of Moons Lane users shop smarter by writing reviews for products you have purchased.